It is always so fantastic to come across work that you absolutely fall in love with. Yesterday I did just that as I looked at Chris Marley’s pieces on Design Milk . Marley uses bugs, insects, butterflies, etc. to create his work. I think bugs are really amazing – especially beetles – so I love this. I also really appreciated the clean, geometric manner in which he laid out his designs. Marley’s work, along with my recent thoughts on cells and my urge to really dive into a big ink project is what inspired day 16’s piece. 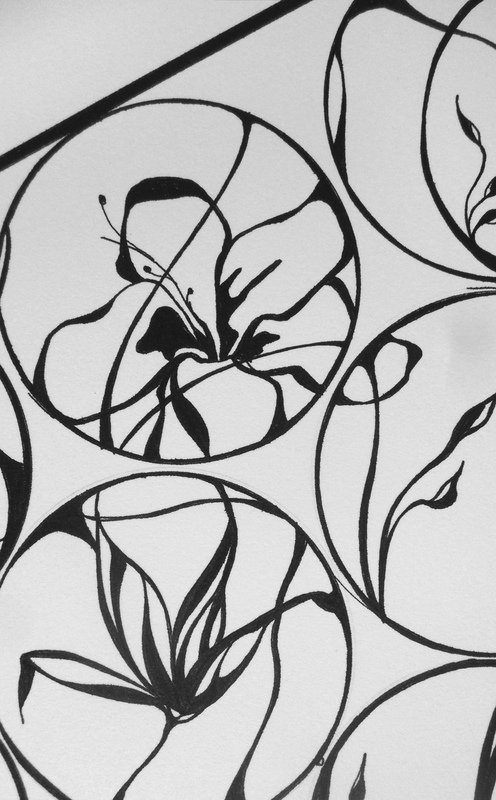 I began the work by drawing out circles, which I thought of as individual “cells” onto my 12” x 25” paper. I tried to allow each cell to work independently as its own design, but to also interact with those around it. 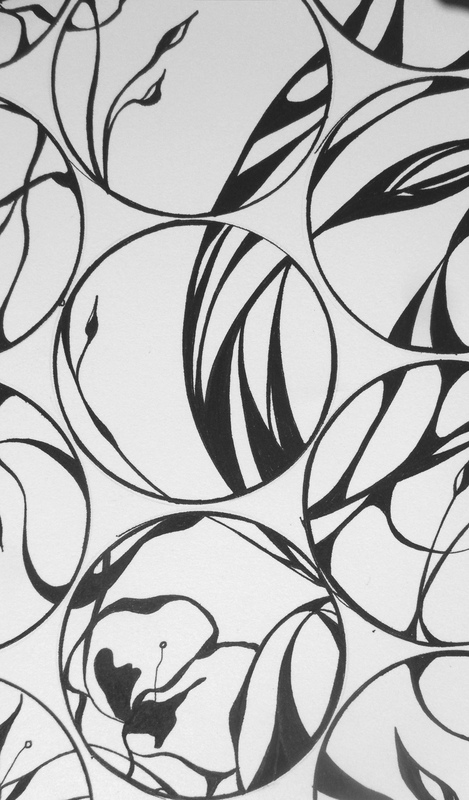 Lines and shapes in one circle often carried over into another creating a kaleidoscope-like image. I like the harmony and simplicity in this work, well done! Thanks so much! This was a lot of fun ot explore.